"Long time buddies came to help Mike Breen and play on his most recent release, All Night Long. Mike gathered friends from the Phoenix area, players who have day gigs that take them to world stages and hearts that hold loyalty as a cherished trait. All Night Long features Doug Haywood (Jackson Browne), Mickey McGee ( Linda Ronstadt),( Michael Dinner), (Flying Burritos Brothers), Matt Cartsonis (Warren Zevon) and Cheryl Wolff (Alan Jackson). Listening to All Night Long, your ear can tell why Mike Breen collects friends like coupons offering specials. His vocal delivery is warm and inviting. His story lines are conversations about life and observations on its living moments. “Baby’s Comin’ in on a Plane” lets you feel the excitement of the guy at the gate whose heart beats a little faster with each departing passenger, “Cristina Valencia” slips south of the border to plead to the lady in the title for a little love light from her dark eyes and “Carnival Queen” walks the midway with love at your side." -Alternate Root Magazine. Also featuring the great Mike G. Smith on Pedal Steel, Mike Cirillo on Fiddle, Tim Ponzek on Piano and Accordian, Joseph Leyva on Trumpets and Russ Skaggs on Bass. The music of a lifetime blended together in a ‘Big, Big Dream’. 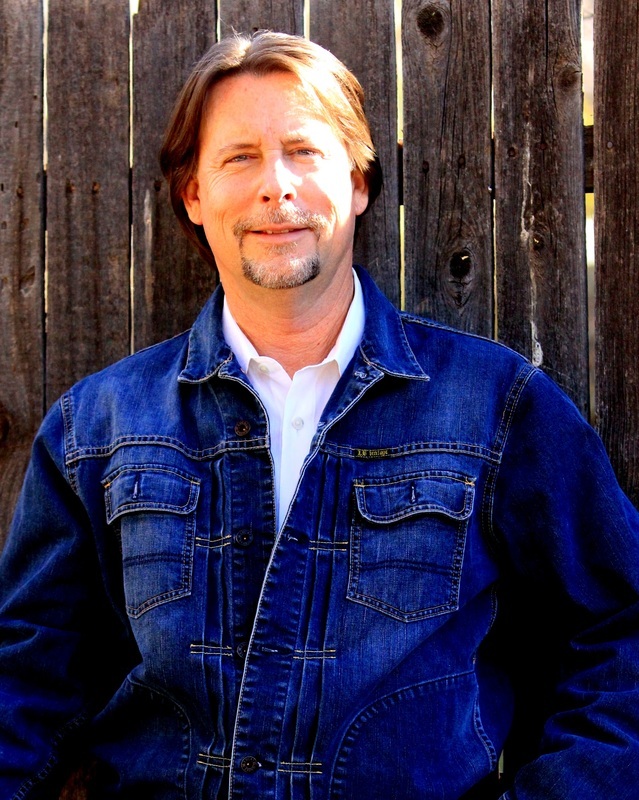 Mike is a musician of significant note and his songwriting abilities have taken on a new dimension, blending the true Gospel sounds flowing out of any Church on a Sunday morning, the Country that has been a large part of his musical career, the Bluegrass that is in his blood and the beauty of a Southwestern Mexican sunset. All of this is Mike Breen and he turns it into one of the finest independent releases you can find. “Bleu” Mortensen’s soulful Dobro, Mike Cirillo’s Fiddle, Billy Parker’s untouchable Mandolin, industry veterans Mickey McGee and Doug Haywood on Cajon and Bass make up one of the finest bands you can find and they back Mike’s high lonesome vocal and musical talent with their own significant and special talents. Listen once, listen twice, and listen again, you’ll hear something new and memorable every time. Enjoy the Dream it will be a special one. "Past Lives" Basilbone Records Review in "Sing Out." It's always a pleasure to hear an independant CD that delivers the goods past the first cut and this release from Breen is such an example. A varied and enjoyable selection of slightly country-flavored originals by a writer with a talent for writing catchy, uptempo melodies (try not singing along to "Juanita's In Love".) With a hint of John Denver in his vocals, this extremely capable guitarist makes great use of mandolins, fiddles, banjos, accordion and backing vocals. I wish all singer-songwriter albums were this rewarding. Past Lives is a quiet and thoughtful album from singer-songwriter Mike Breen. His strength is in storytelling, and his songs tell stories and evoke times in people's lives. Most of the songs are strongly in the modern singer-songwriter tradition, with the exceptions being "Take a Little Time" and "Sparkle Do," country songs, and "Corrs Medley," a blend of three Celtic tunes in which Breen's playing of several instruments sets off Ron Rutowski's wonderful fiddling. Four of the songs tell stories of people's lives. "Past Lives" and "Autumn Afternoon" relate tales of love, and "Girl from Northern Maine" tells of a man meeting his grown daughter for the first time while remembering her mother and their past relationship. This song, in particular, has an effective combination of the past and present, and lyrics with a catchy tune. "The Little Things" also blends past and present, as a father sees his son driving his car for the first time, while wondering where the time had gone. "Sparkle Do" is the catchiest song on the album, with "Take a Little Time" a close second. Breen has considerable ability in the country style, and both of these songs showcase it. "Sparkle Do" has the better lyrics, and describes going out as friends with a former love, and wondering if, perhaps, the feelings can be recaptured. Two of the songs are almost pure description. "State Fair" describes visiting the fair accurately and affectionately, with all its varied attractions, and made me nostalgic for the one I attended in Minnesota. "Home Again" describes the southwest beautifully. Relationships can be hard, and "Yesterday's News" and "The Letter 'L'" talk about this. "Yesterday's News" regrets the end of a love. "The Letter 'L'" is very interesting, combining an alphabet song with pondering about the state of a love. Each letter is combined with a positive -- or difficult -- aspect of the relationship, and the result is both clever and touching. The liner includes the complete lyrics to every song on the album, and in a size large enough to read easily (although in a few places the underlying art obscures the lyrics slightly). I always appreciate it when songwriters include the lyrics. Breen has also included the most detailed list I have every seen of the exact instruments and equipment used on this album, which was very interesting to read. His credits to the other people who worked on Past Lives are also featured, and also with a clarity that is unusual and appreciated. Past Lives is a introspective and intelligent album, and enjoyable to hear. The songs stand up well to repeated playing, since one can think about them as well as just enjoying them. It's not as emotionally engaging as some modern folk, but is a very good album for all that. Breen is a skillful songwriter, singer and musician, and this album would be particularly appreciated by those who enjoy narrative songs. Few days in most lives are marked by public, or even private, high drama. Fewer still are either celebrations or cataclysms. The lyrics of popular songs, however, understandably stress drama, romance, exultation, even dejection in simple, high-contrast terms suitable for low-attention mass diversion, fast food for the ear. For those hungry for more modest, realistic, and compelling musical storytelling, "Past Lives," the second release from Phoenix's Mike Breen, is just the dish. Breen's lyrics, evoking the intimate warp and woof of life, are set in infallibly attractive and catchy melodies supported by amiable acoustic instrumentation of understated mastery, and are animated by his gentle tenor, expressively reminiscent of James Keelaghan's deeper vocal. "Past Lives" is a sort of theme album, revolving about an appreciative and joyful, rather than regretful and tragic, nostalgia, and affords Breen an opportunity to display his rare flare for organically matching words and music. On the title track, acoustic and slide guitar fanfare leads into a cunningly crafted first-person narrative of that reassuring sort of reincarnation in which you and your comrades remain together through idylls, wars, and into the present. "There is no end": a concept simultaneously appealing and appalling. The sentimental appeal of Breen's lyrics on "Autumn Afternoon," the immediacy of two young people falling unexpectedly in love in a diner, is so credible that one nearly overlooks the subtle beauty of melody and music, especially the quietly jangling banjo; the dawning revelation that this all happened a half-century ago can't help but provoke a smile. "The Little Things" is a compositional triumph, and a nice song as well, with just the right touch of dissonance in the verses to express the anxiety of a father as his son drives off on his first date, the chorus nostalgic yet hopeful over the surprising speed at which children grow. Another intriguing song of active nostalgia, "State Fair," is a very southwestern take on one of America's autumn institutions, reminiscent of both Ray Bradbury's writing and Neil Young's most unaffectedly effective song, "Sugar Mountain." Strategically placed at the center of "Past Lives," the instrumental "Corrs Medley" builds from slow yearning to quick festivity, featuring Breen's guitar and mandolin, and Ron Rutowski's visiting fiddle. "The Letter L" is a charming and clever alphabet song for adults, Breen coyly orbiting the central challenge and joy of intimacy, subtly ratcheting up the stakes through the letters, but never quite reaching Z. Breen's guitar and mandolin join Ken Skaggs' pedal steel on the countrified music for "The Girl From Northern Maine," the tale of another long-failed love, this time bequeathing a tangible legacy, a daughter, who provides "one more chance" for "love to find a way." And old sweethearts two-step around the past in "Sparkle Do," contemplating relationship renewal; no denouement is ordained, but Breen's optimism, cautious with experience, is infectious and reassuring. The care and artistry of "Past Lives," particularly Mike Breen's precise matching of music and lyric to create finely tuned moods, makes it a record worth hearing over and over.